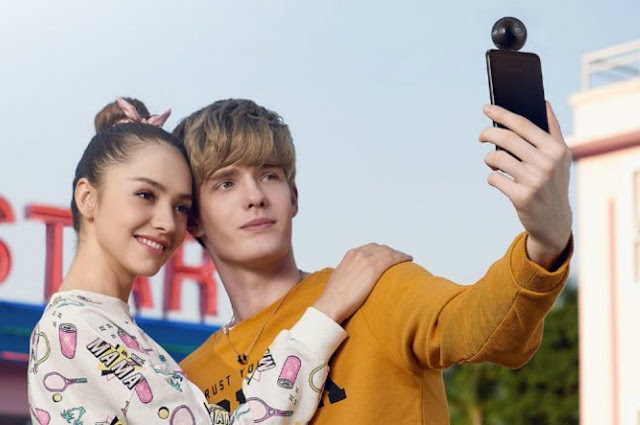 nubia intros NeoAir VR 360-degree Panoramic camera for smartphones - AndroGuider | One Stop For The Techy You! Besides the dual-camera toting Z17 mini, ZTE's sub-brand nubia also unveiled its first 360-degree camera called NeoAir VR, that is capable of capturing 360-degree panoramic videos and photos. The announcement comes a day after Xiaomi unveiled its square-shaped Mi 360-degree panoramic camera. 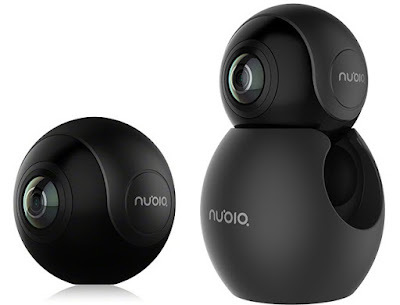 nubia's NeoAir VR is a compact spherical shaped camera equipped with two 210-degree fish-eye lens on either sides with maximum support for shooting 2008 x 1504 (3K) resolution images and 2560 x 1280 (2K) resolution video. It has diameter of 38.5mm and weighs only 26.5g, making it easy to carry everywhere. nubia claims the NeoAir VR to be be the world’s smallest panoramic camera. 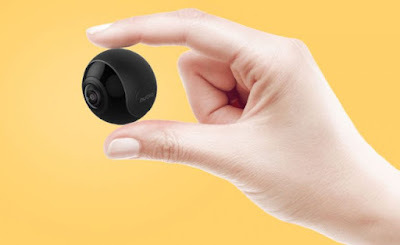 The camera does not include any wireless connectivity, instead you'll have to connect it a USB Type-C compatible smartphone. There's also a special app to preview, edit, live-stream or share the captured contents. Apart from USB Type-C port, the phone needs to run Android 5.1 Lollipop or higher, have 2GB RAM or more, and be equipped Qualcomm's 600/800 series SoC, MediaTek Helio X SoC, Exynos 7410/8890 SoC or Huawei Kirin 9xx series SoC to work with the camera. Some of phones nubia mentioned include Xiaomi Mi 4c, Huawei Mate 7, Meizu MX5, Vivo X7, Nubia Z17 mini, Nubia Z9 Mini, and Z7 Max among others. The nubia NeoAir VR Panoramic Camera is priced at CNY 699 ($101 | Rs. 6,570). The company has not revealed availability yet.